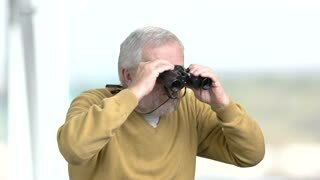 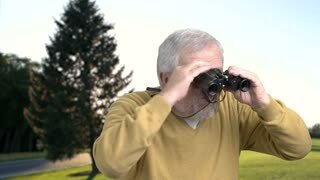 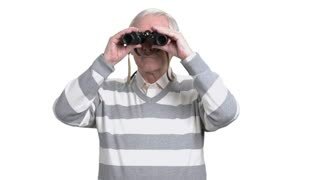 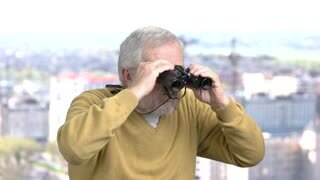 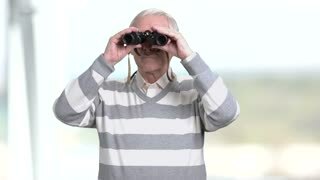 Aged man with pair of binoculars. 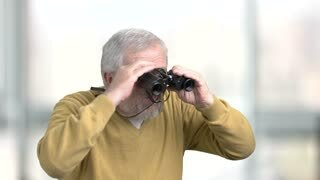 Senior bearded man looking through binoculars on blurred background. 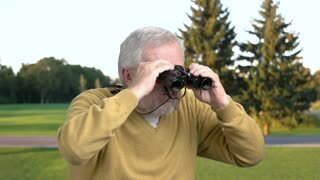 Travel and exploration concept.